This Piramides has suffered from construction problems since its release. This is a pity, as the blend on this San Cristobal is fabulous. Tangy aromas mingle with floral notes to produce a rich bouquet that may be too much for many smokers. 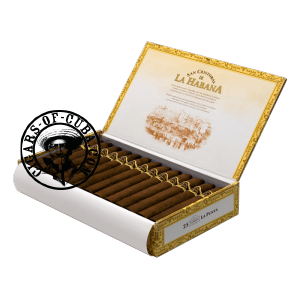 The finish is strong, due mainly to the conic shape of the cigar and the palate remains covered long after the smoke has finished. A cigar of this nature needs to be aged to get anything out of the blend. It has been made to compete with the legendary Belicoso from Bolivar and does.